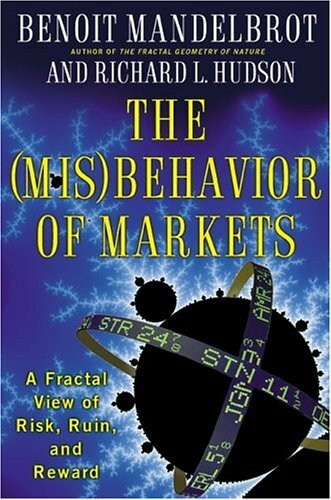 I’ve been wanting to read The Misbehavior of Markets: A Fractal View of Financial Turbulence by Benoit Mandelbrot for a number of years. Mandelbrot helped to change the way people view financial market dynamics. This book is definitely a must read for people working in the financial industry. However, Mandelbrot was not the first. It is a little surprising that Mandelbrot did not talk in detail about the work of R.N. Elliott or Robert Prechter, among others, which I think complement Mandelbrot’s work on financial fractals. Patrick Harris wrote a short paper discussing whether Mandelbrot should have cited Elliott (link to paper). To me, the idea of infinite memory processes is one of the most important concepts touched on by Mandelbrot in this book. It suggests that economists and traders should be developing models and theories which value the importance of price series and data going back decades. And it makes sense to me that people and prices do not change their fundamental behavior over extended periods of technological evolution. However, I suspect that organisms do change their fundamental behavior if the time horizon is thousands or millions of years. I am very curious to read more about Hurst’s studies of the Nile. Dangerous Knowledge, by David Malone, summarizes the work and life of some of the greatest thinkers in late 19th and 20th centuries. Includes the work and life of Cantor, Boltzmann, Godel, and Turing. Kondratieff Waves, Warfare and World Security: Volume 5 NATO Security through Science Series: Human and Societal Dynamics by T.C. Devezas is what I am currently reading. Also, see: A Spectral Analysis of World GDP Dynamics: Kondratieff Waves, Kuznets Swings, Juglar and Kitchin Cycles in Global Economic Development, and the 2008–2009 Economic Crisis Korotayev, Andrey V and Tsirel, Sergey V.